I originally made these cookies for my older sister on her birthday a couple of years ago. I discovered them on David Lebovitz’s website, and the recipe sounded great. I love a chewy cookie and these were loaded with spicy ground cinnamon and ginger, candied ginger, and even a little black pepper for extra spice. To top it all off, they are a nonfat treat! I love the idea of sandwiching a scoop of ice cream between two cookies. Of course, that would negate the nonfat aspect of these cookies, but a cute little ice cream sandwich would totally be worth it. 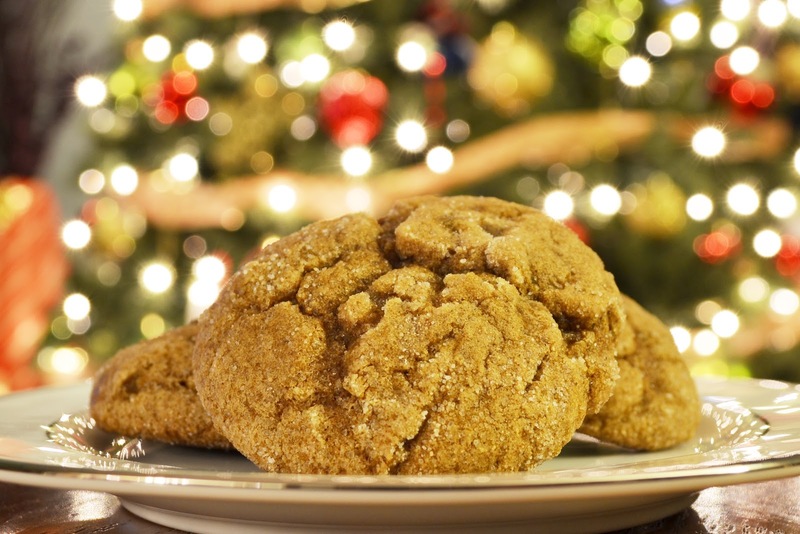 In David's post, he calls these cookies gingersnaps; however, they definitely fall into the chewy cookie family, rather than a crisp, traditional gingersnap cookie. If you’re looking for another cookie to add to your Christmas cookie spread, these would be a great one to bring to the party. I hope you all have a wonderful holiday season! In the bowl of a stand mixer fitted with the paddle attachment, beat the brown sugar, applesauce, and molasses for five minutes at medium speed. In a medium bowl, sift together the flour, baking soda, spices, and salt. After five minutes, stop the mixer, scrape down the sides, and add the egg whites. Mix for another minute. With the mixer at its lowest speed, add the dry ingredients until completely incorporated. Mix on medium speed for another minute. Stir in the chopped candied ginger. Chill the batter for 2 to 3 hours. When ready to bake the cookies, preheat the oven to 350 degrees F. Line two baking sheets with parchment paper or silicone baking mats. Pour the sugar in a shallow dish. Scoop the cookies into heaping tablespoon-sized balls and drop them into the sugar. Using your hands, roll the dough into sugar-coated balls. Place the dough balls on the two baking sheets, spaced at least 2 inches apart to allow space for spreading. Bake for 13 minutes, or until the cookies feel just barely set in the center (be careful not to over bake these cookies, as they will lose their wonderful chewiness). Remove from oven and cool. Easy recipe and a calm place to order and enjoy the food.. 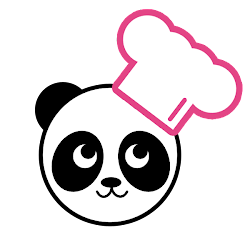 The panda Bakers I maid this sight affordably by publishing the receipt in the most simple and easy step wise.